It's been a crazy/messy week. If you follow me on Instagram, you know. But, everyone is still alive...even me. 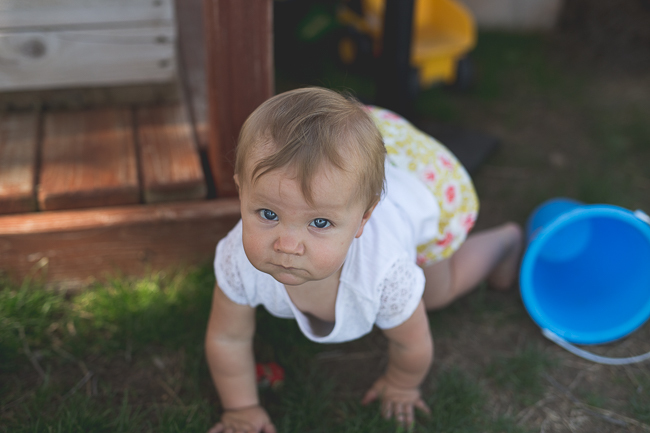 Sophie has been getting her molars in, and as you can see in most of the photos, it greatly affects her mood...not in a good way. Peter has had a yucky head cold, but he's a pretty tough sick kid...doesn't complain much at all. I asked him how he was doing yesterday..."Not good today, Mom." But, that was all he would say. Bless his heart. Anyway, on to the photos. 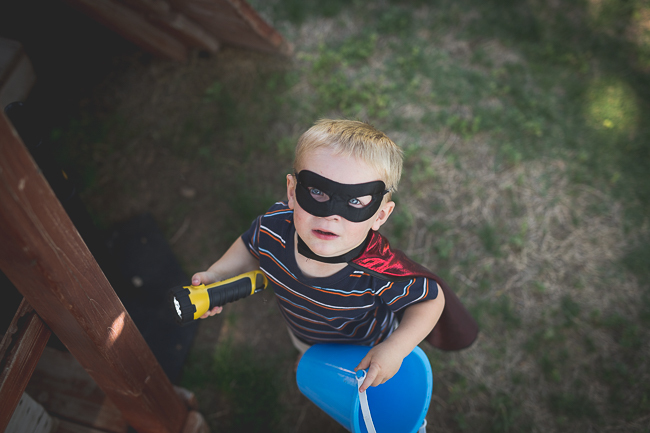 Carter // 5 - It happened to be superhero day at our casa yesterday. 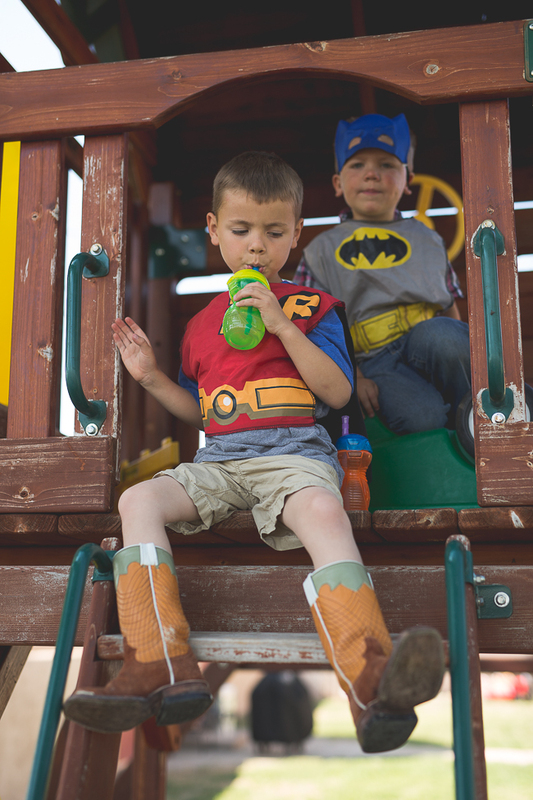 Carter was the short-wearing cowboy version of Robin, taking a break to refuel. 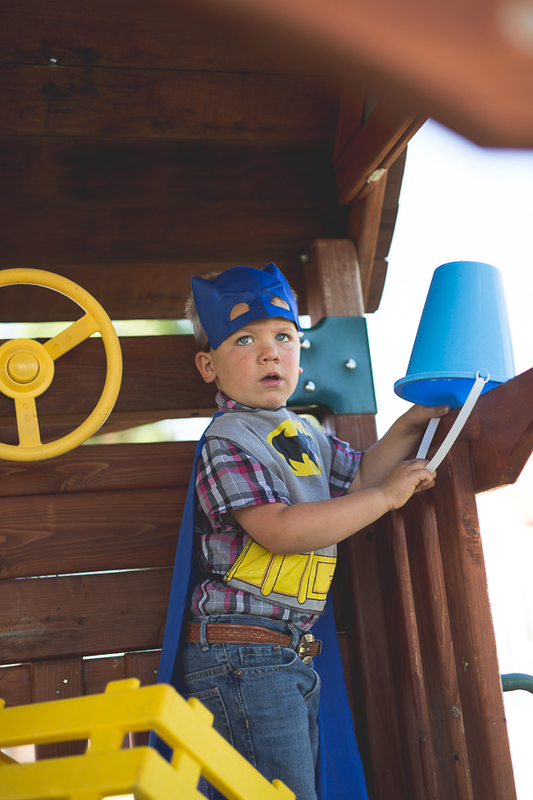 Peter // 3 - He always picks Batman, and he had a bucket of water ready for anyone who got in his way. John Paul // 2 - He is a bit more creative. I think this is another version of his hay-bale superhero costume. The flashlight is his weapon of choice. Sophie // 1 - She just gives a look to keep the bad guys away. Wow! Sophie looks soooo old and her hair is super long now! Flashlight...smart kid ;). I hope everyone is feeling better! !